Every country has their own popular food. 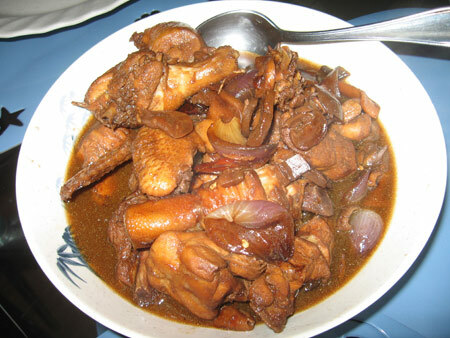 In the Philippines, adobo got to be one of the most recommended food if you are a foreigner. Just like in Singapore, if you have foreign friends or business associates visitng for the first time, you will normally utter these questions – “Have you tried our famous Singapore chicken rice?” or “have you ever tasted the popular Singapore Chili Crab?”. Is very much the same all over the world as most of us take pride in our food. Most of us take more pride in our national food compared to our government. I seldom hear people condemn their food but I cannot tell you how many times I hear people talk bad about their own government. Since this is not really a politic blog, lets not go there and we stick to what we know best – FOOD. As I mentioned earlier about ADOBO being popular in the Philippines, I’ve been asked countless times and offered many times as well to taste this dish. 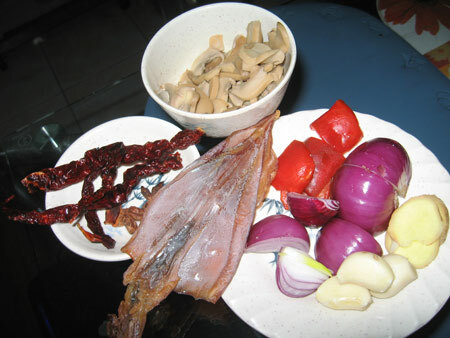 So after tasting few variety of ADOBO, I would like to offer my version of my adobo mixing some spices that I am familiar with, together with other ingredients that is popular in the Philippines. I’ve got a friend from Cebu who is crazy of this dry squid that he always fry and then eat it with vinegar. So I am going to use this dry squid as one of my ingredients for my version of adobo. To be honest, this is my first attempt to make this dish. I am quite please with the outcome and the star anise and dried squid really make the gravy taste good. Noticed that I did not use vinegar as I want the taste to be slightly different. The dried chili gave some spiciness to the taste and I normally refer it to the “OOMMPPHHH” factor. Also what makes it different is the dark soy sauce. Is not so common to find dark soy sauce in Filipino kitchen but it is available in some SM departmental store. I hope you enjoy this post and happy cooking as always.